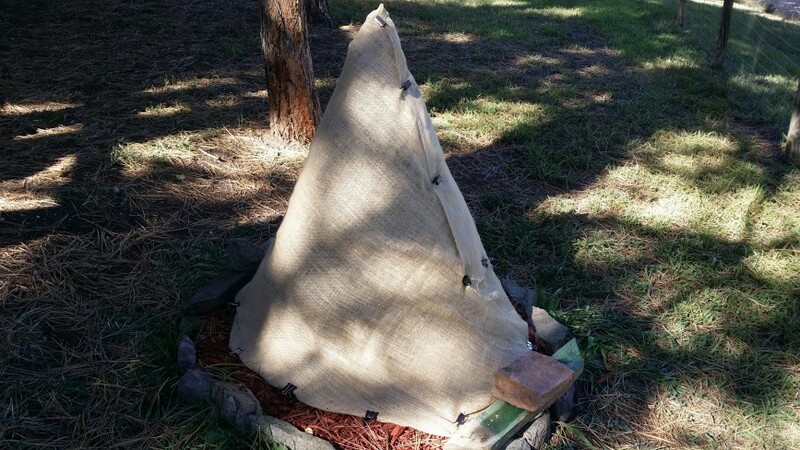 Adam Gillotti also sent us a picture of what he uses to protect his tree in the winter. He said he built a wire cage and wrapped it in burlap. It did flawlessly in protecting again dehydration, since the snow volume is unpredictable in his area. He lives in Indian Hills area. 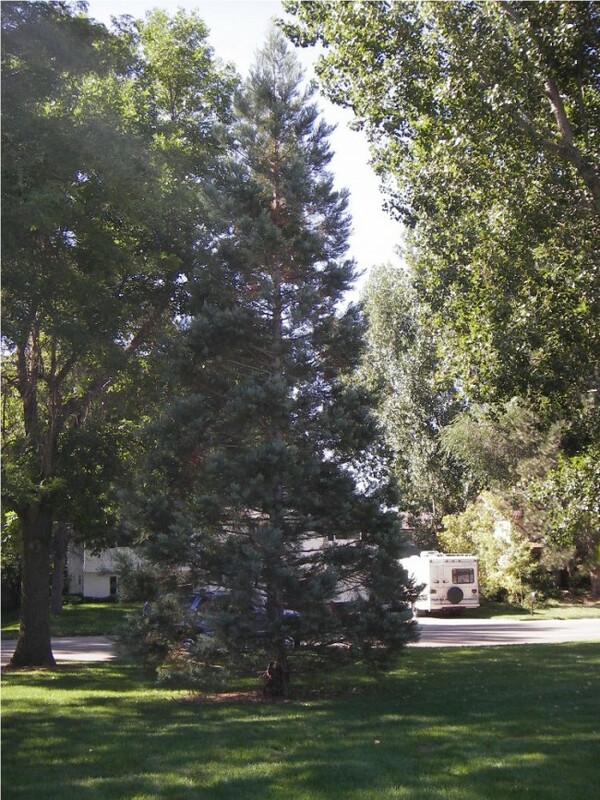 Adam Gillotti also sent us a picture of a giant sequoia located in a residential yard in Columbine, Colorado at the intersection of Perry Street and Perry Court. It's currently around 12 feet tall. Austin Nikel and his daughter next to one of the giant sequoias in Edora Park of Fort Collins. 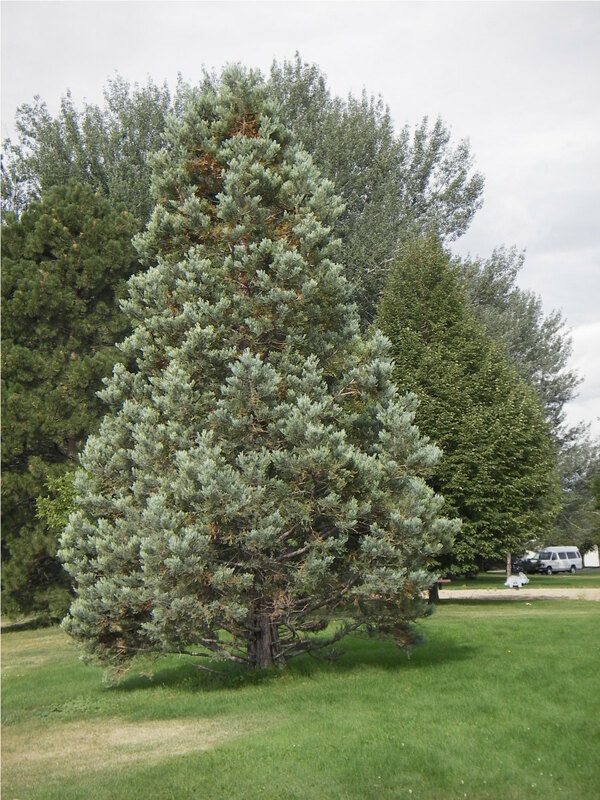 It is about 35 feet tall with some winter color but taken care of with some lower pruning. There are three giant sequoia trees in the park. 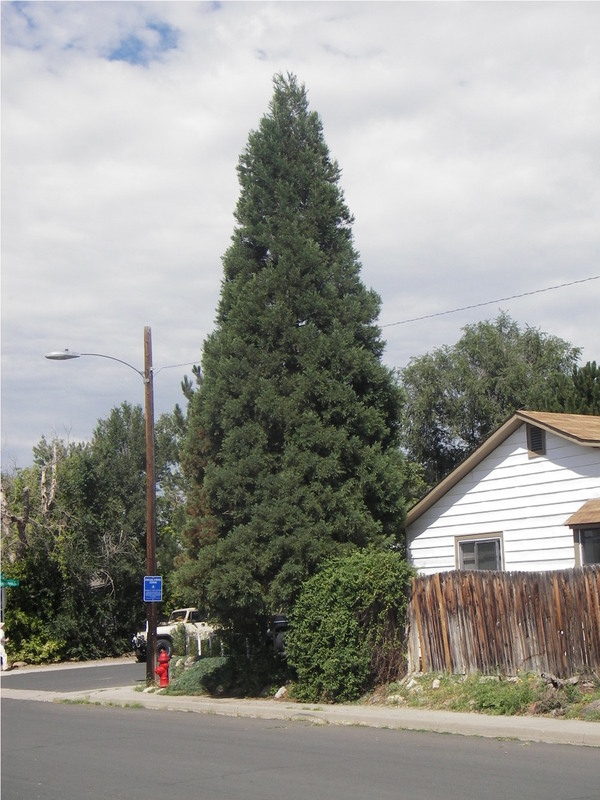 Fifteen miles south of Denver in the city of Englewood, Tony found a giant sequoia growing on the NE corner of Pennsylvania and Tufts. Contributed by Tony Jivoin. 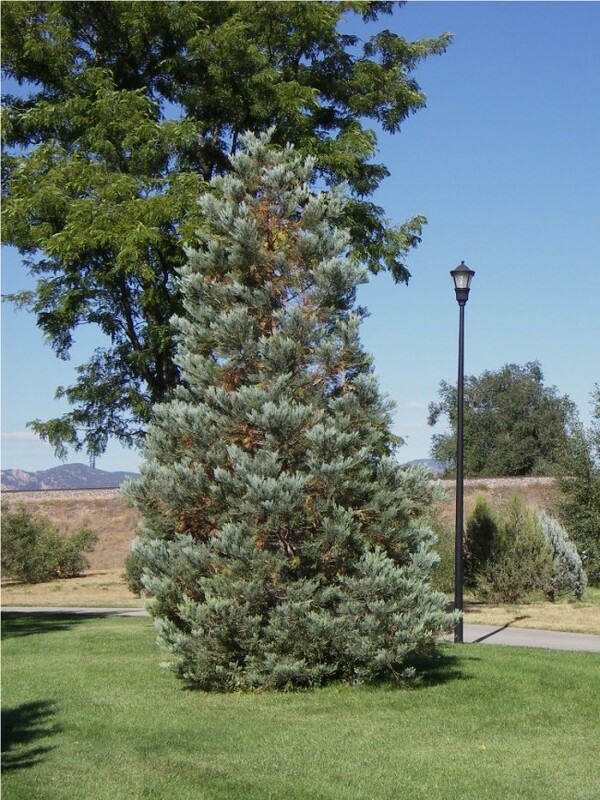 Thanks to John Hetzler who sent these pictures of his giant sequoia in Colorado Springs, planted in 1995 which is now about 35 feet tall with a fifteen inch diameter trunk. 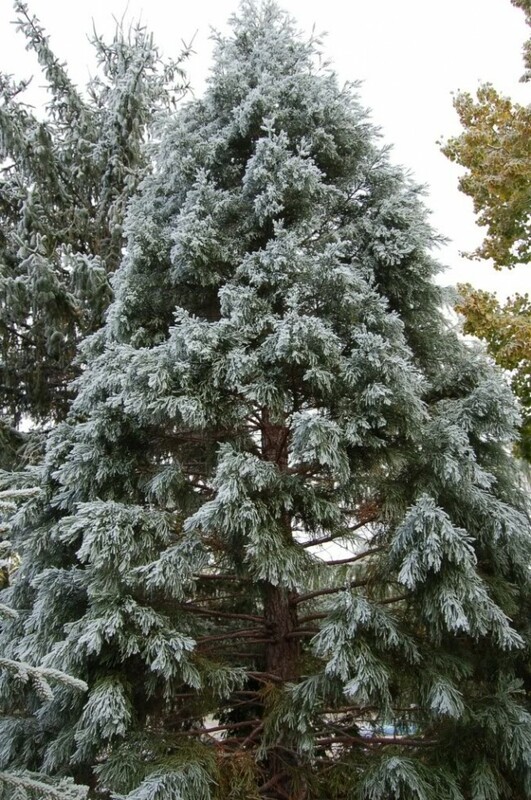 John Hetzler's giant sequoia in Colorado Springs during an ice storm. Close up picture of the trunk of John Hetzler's giant sequoia tree growing in Colorado Springs. These twin giant sequoias are located in Boulder, Colorado at Kalmia and 26th Street, about 2 miles east of the foothills. Both trees are in wonderful condition. Contributed by Tony Jivoin. Landings Park in Fort Collins. 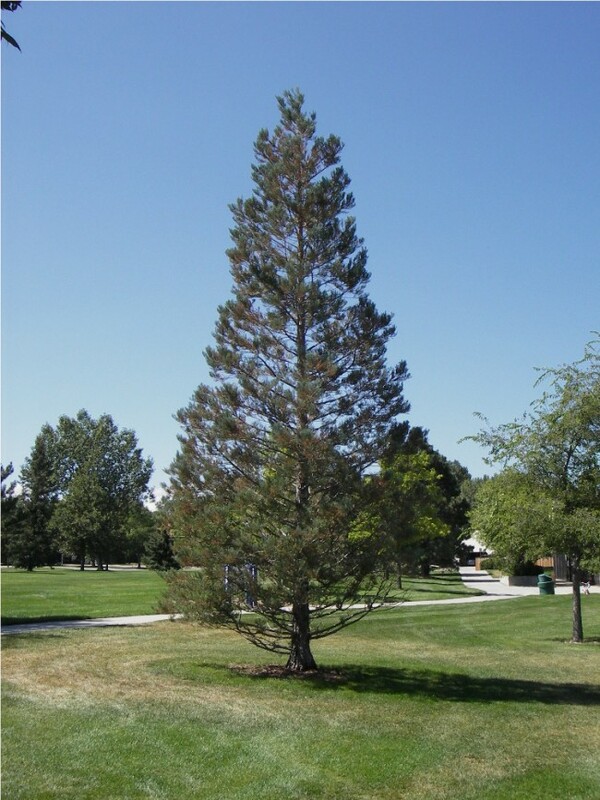 Thanks to Tony for this picture of a very healthy giant sequoia tree.This giant sequoia is located at Landings Park in Fort Collins, along Boardwalk Dr., about 5 miles south of downtown, Planting was in 1998 by the Forestry division. 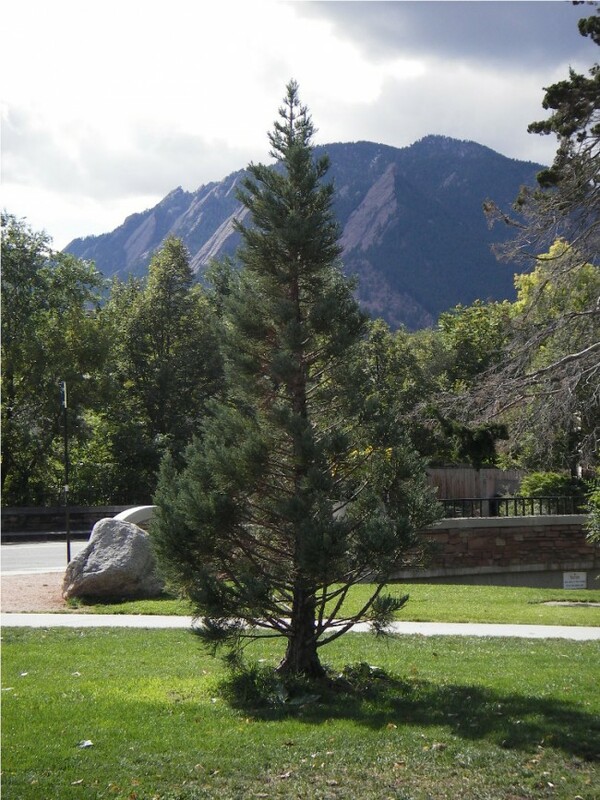 This giant sequoia tree is located in the Harper Humanities Gardens which are just west of the Mary Reed building on the University of Denver campus. This view was taken by Tony looking to the NE. The Penrose building is showing in the background. 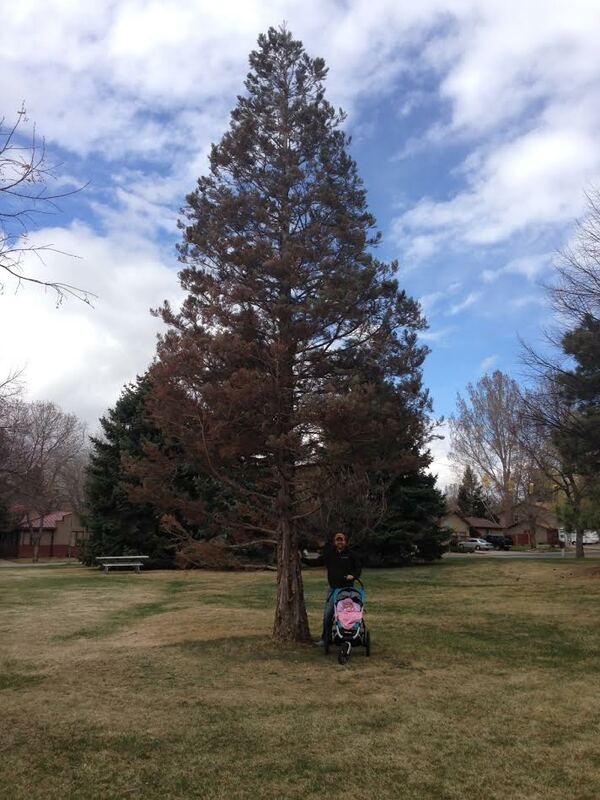 Boulder, Colorado - Giant Sequoia doing well in Civic Park near downtown, located at the corner of Arapahoe Rd. and 13th St. This is across the street from Boulder High School, adjacent to the Boulder Creek bike path and just two blocks north of the University of Colorado. In the background looking towards the southeast is Green Mountain (8100 ft.) and the Boulder Flatirons. Contributed by Tony Jivoin. 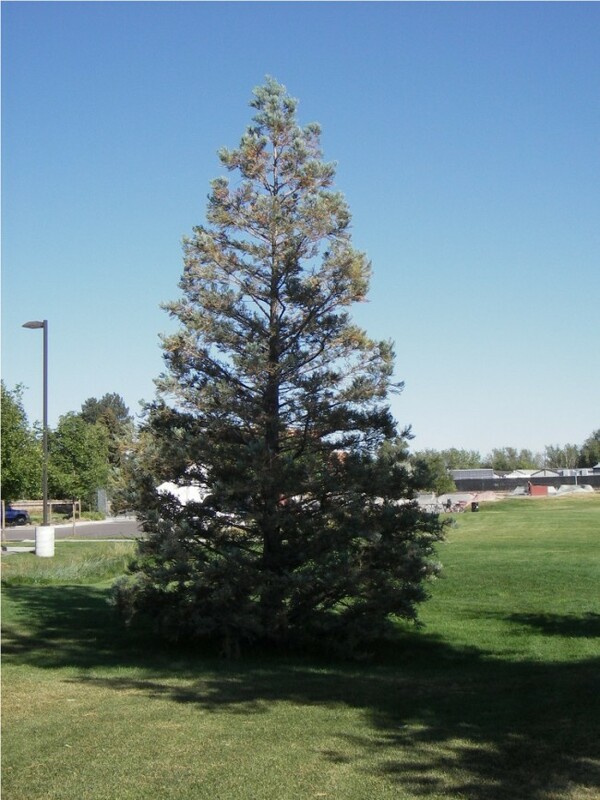 This Giant Sequoia is located back by the sandbox area at Warren Park in Fort Collins, across the street from the Collindale Golf Course. This park is at the intersection of Lemay Ave and Horsetooth Rd, 5 miles SE of downtown. Contributed by Tony Jivoin. This Giant Sequoia is located in Roland Moore Park, back by the tennis courts. 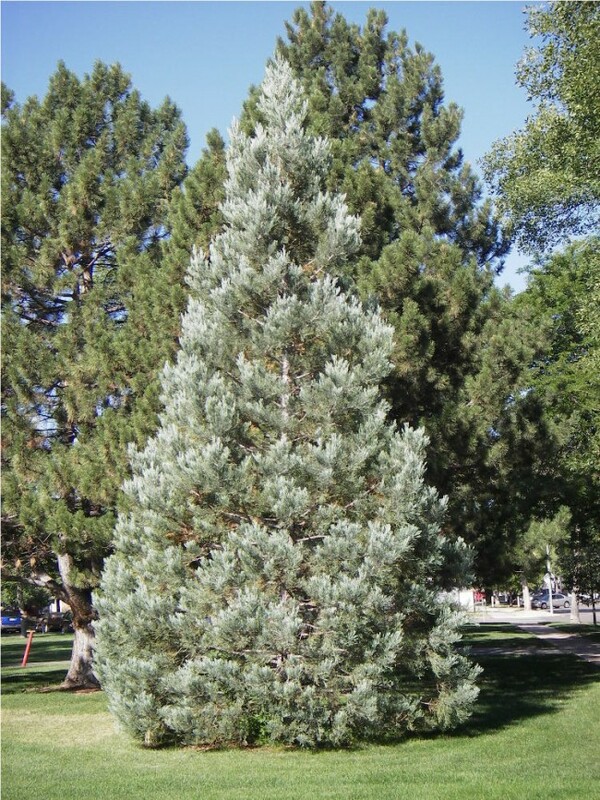 This was planted by the Forestry Division in the Fort Collins park system back in 1998. Contributed by Tony Jivoin. 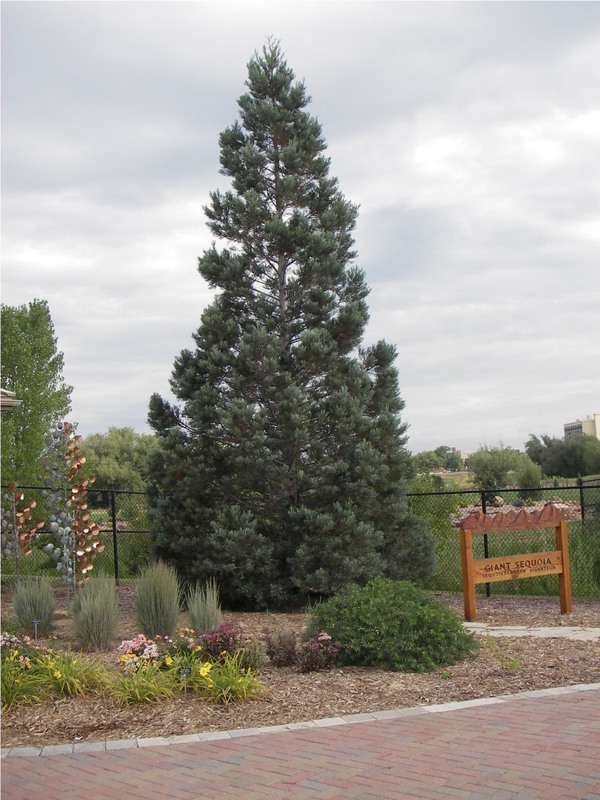 This Giant Sequoia is located at City Park in Fort Collins, by the intersection of Jackson and West Oak streets. Contributed by Tony Jivoin. 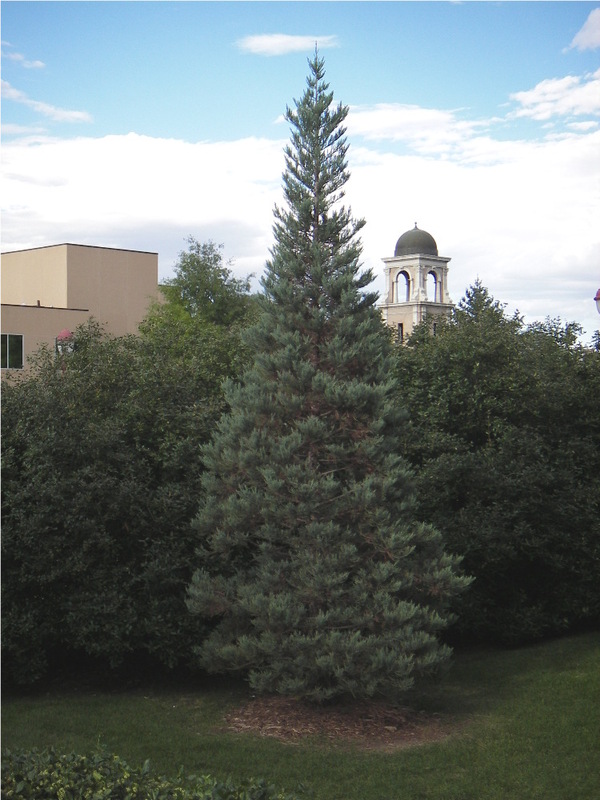 This Giant Sequoia is located in Fort Collins by the entrance of 'The Gardens on Spring Creek' along Centre Avenue, just south of the Colorado State University campus. 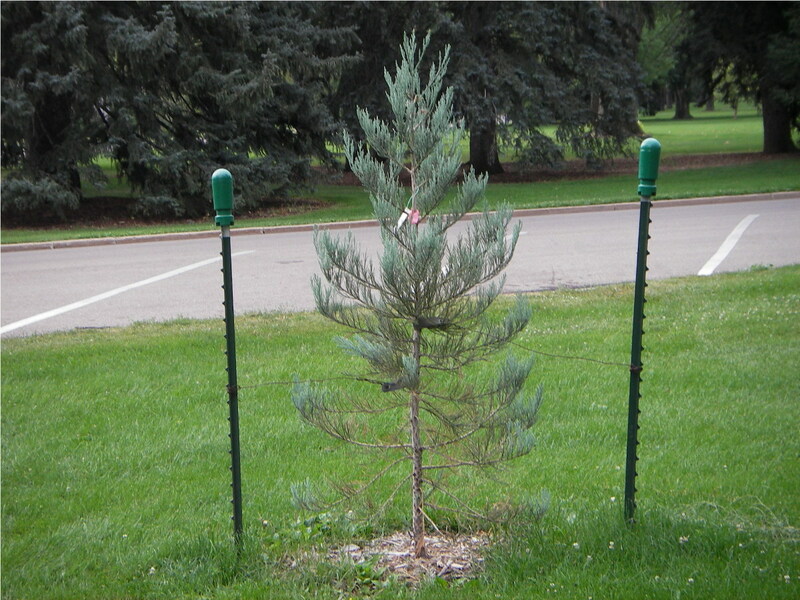 This tree was planted by the Forestry Division in the Fort Collins Park system in 1998. Contributed by Tony Jivoin. Fort Collins, Colorado - Library Park, located on the grounds of the main public library, at E. Oak St. and Matthews St. This is one of the giant sequoias planted by the park service in 1998. 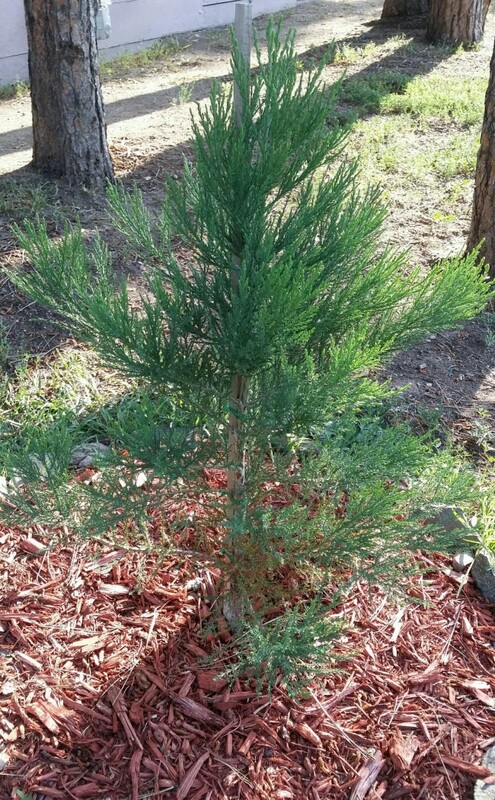 This sequoia is in wonderful condition. Contributed by Tony Jivoin. Fort Collins, Colorado - Golden Meadows Park, located near Kruse Elementary school on McMurry Ave. This is one of the giant sequoias planted by the park service in 1998. 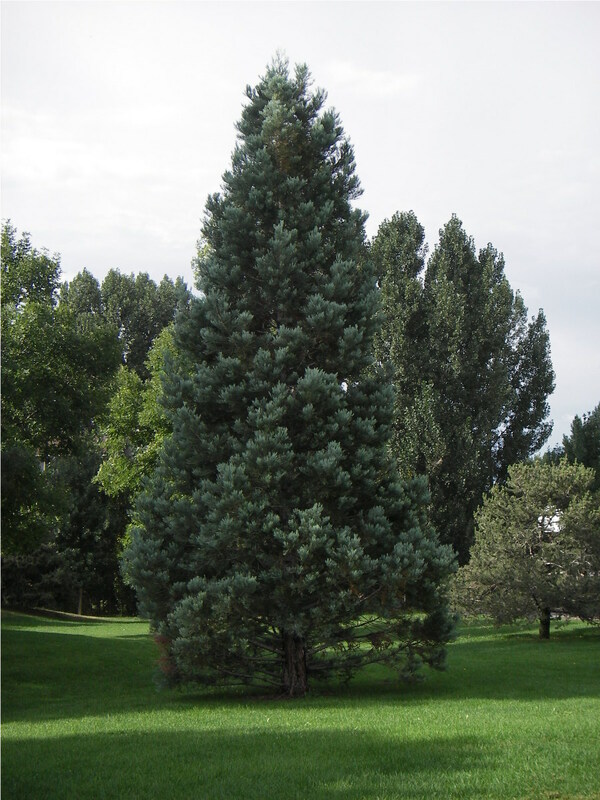 While living and working in Fort Collins from 2001 to 2008 I must have rode my bike by this tree at least a hundred times, and had no idea there was a giant sequoia in this park. Contributed by Tony Jivoin. Fort Collins, Colorado - Old Fort Collins Heritage Park, two giant sequoias, located adjacent to the Parks and Recreation Dept. on Willow St. just NE of downtown. These two giant sequoias were planted by the park service in 1998. Contributed by Tony Jivoin. Fort Collins, Colorado - Beattie Park, at the intersection of Meadowlark Ave and W. Swallow Road. This is one of the giant sequoias planted by the park service in 1998. Contributed by Tony Jivoin. Fort Collins, Colorado - Creek Side Park, located along the Spring Creek bike trail just west of S. College Ave, 1/2 block south of Colorado State University. Really like the location and condition of this tree, right alongside a very popular bike trail. Contributed by Tony Jivoin. 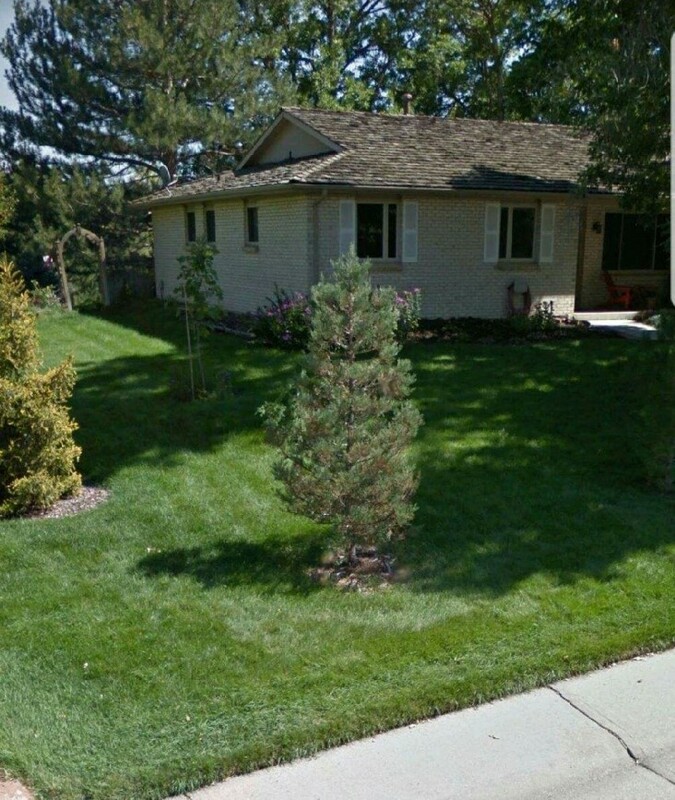 Fort Collins, Colorado - Rossborough Park, located at Dunbar Ave. and Casa Grande Blvd., just down the street and west of Rocky Mountain High School. This is one of the giant sequoias planted by the park service in 1998. Contributed by Tony Jivoin. Fort Collins, Colorado - Roland Moore Park, located just beyond the outfield fence of softball field number 2. This is one of the giant sequoias planted by the park service in 1998. 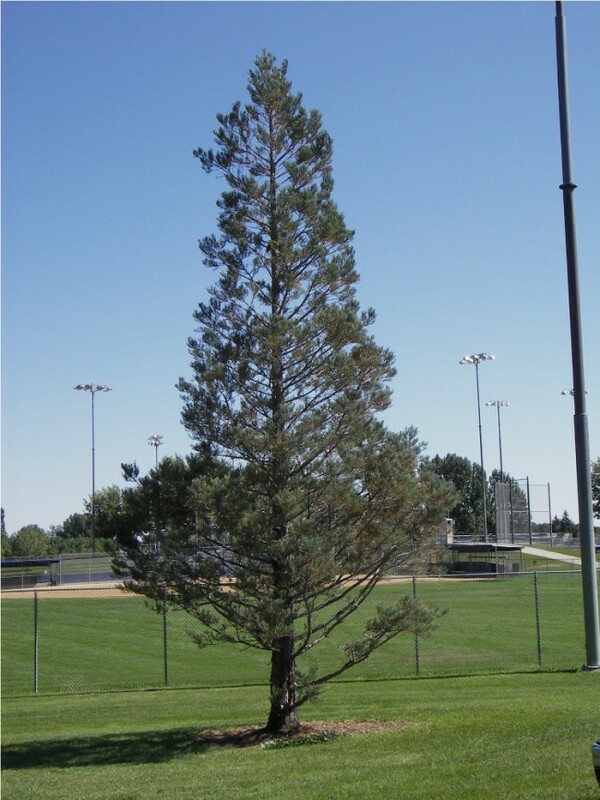 For seven years while playing in a softball league at Roland Moore Park little did I know that a giant sequoia was just beyond the outfield fence. Contributed by Tony Jivoin. One of Edora Park giant sequoias as of 2011. This is in Fort Collins near E. Prospect St. and Welch St. Thanks Tony for the updated photo. Another image of the giant sequoia in Edora Park in Ft. Collins, Colorado. Contributed by Tony Jivoin. View of second sequoia tree in Edora Park taken by Tony in 2011. 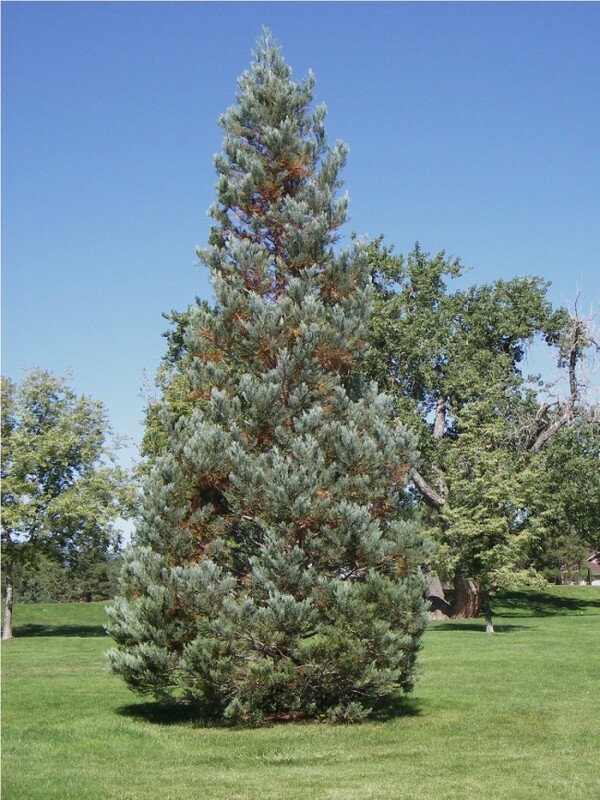 Fort Collins giant sequoia - Stopped in Fort Collins yesterday 6/15/06 to get picture of one of the sequoias they have in Edora park. The tree was planted in 1998 and is doing well, despite the dry weather the last few years.